Project Manager, J.D. Miles & Sons, Inc.
Robert hails from New York City. He studied at the City College of New York for three years from 1978 through 1980. He worked in many different fields, notably as a driver for ten years in New York. 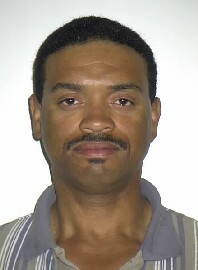 In 1994 he moved to Norfolk, VA and began his career in the construction industry here at Miles. Rob started as a roofing helper and yard helper. He has steadily increased his responsibilities here at the firm and now is a project manager and supervisor. Rob’s dedication to the both the management and the employees of our firm has helped guide this company to become an industry leader in terms of safety, quality, and performance. Robert supervised three crews in the rebuilding of various sites in Mississippi and Alabama in the aftermath of Hurricane Katrina. Robert recently supervised several large projects at Naval Station in Goose Creek, South Carolina. Rob has participated in training classes with the NRCA (National Roofing Contractor’s Association), specifically their Total Quality Management (TQM) program at the University of Chicago, and is the Certified Trainer for torches and equipment. Rob is a classical flutist, an accomplished chess player, and is a personal trainer.